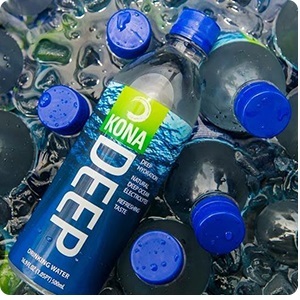 Introducing Kona Deep: pure and refreshing water from the deep ocean waters of Hawaii. Salt is removed but natural electrolytes are left in for exceptional hydration. In bringing Kona Deep to you, we add nothing. 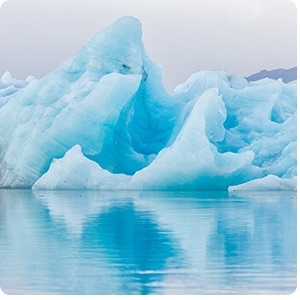 Our water comes from an extraordinary deep ocean current filled with water from melted glacier water. It soaks up beneficial electrolytes and minerals before arriving at the island of Hawaii. Pure, hydrating and an infinitely renewable resource. As you hydrate your body with Kona Deep, rest assured that you're drinking water from an immense, all natural supply that is as perpetual as it is pure. 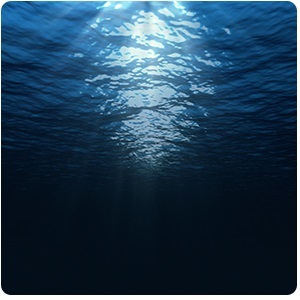 Kona Deep is deep ocean water sourced from an electrolyte rich deep ocean current in Hawaii. It comes from 3000 feet beneath the surface where cold, pressure, and natural minerals combine to create a naturally pure and remarkably refreshing water. Salt is removed but electrolytes are left in for exceptional hydration. Unlike most performance waters that add their electrolytes artificially, Kona Deep’s electrolytes are completely naturally occurring and offer a unique hydration experience. According to a published hydration study conducted at the University of Arizona, Kona Deep rehydrates twice as fast as sports drink and spring water. Kona Deep’s journey began over 1000 years ago when glaciers in Greenland & Iceland melted to form a deep ocean current that still flows today. The water in this current is extremely pure, never touched by light nor human contaminants. 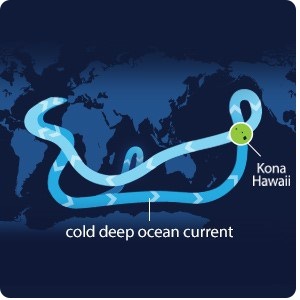 As this deep ocean current circles the globe, it absorbs beneficial nutrients & minerals along the way. Then, it reaches Kona, Hawaii – the ideal place to collect and bottle the water, as the ocean floor falls sharply to more than 3,000 feet. After being brought to the surface, the water is simply desalinated. All that remains is pure, great tasting water filled with naturally occurring electrolytes and minerals. Nothing added, nothing artificial. 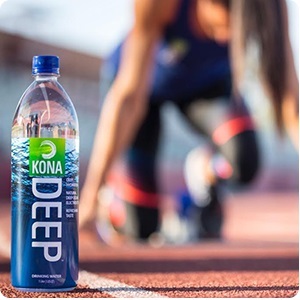 We at Kona Deep are proud to introduce you to deep ocean water, pushing the boundaries of where water can come from while offering a truly unique hydration experience. Join us and re-think your water.